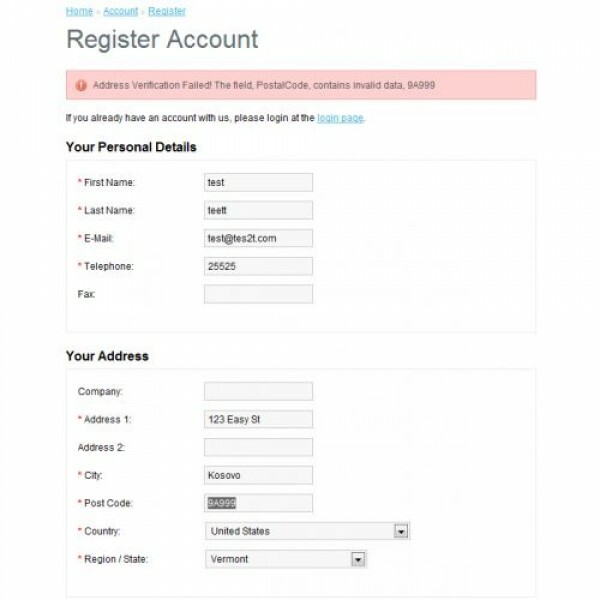 Adds a validation check during registration or checkout to validate United States (USA) Addresses using the UPS Address Validation API. 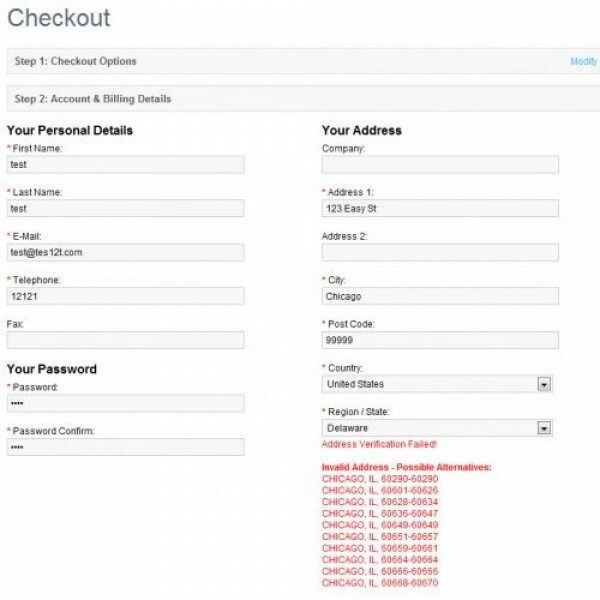 When a user enters his information and clicks the continue button, the address is sent to UPS and validated against the USPS Address Verification. If the address is a match, it will continue successfully with no alert. 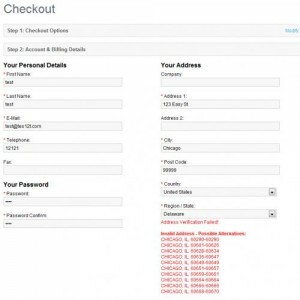 * Works with all registration and guest checkout processes. 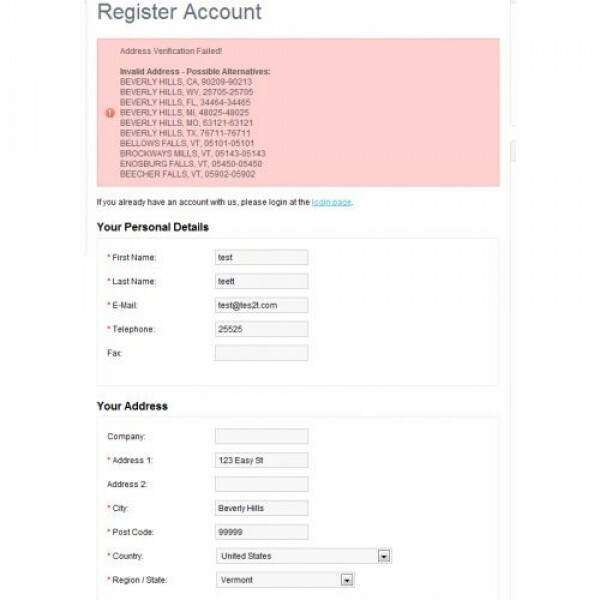 Anywhere an address is entered.